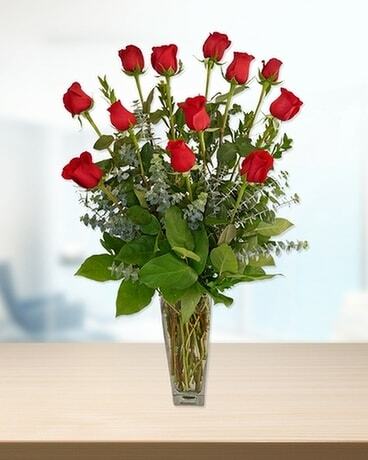 One dozen red long stemmed roses are beautifully arranged in a tall, clear tower shaped vase. A mix of greenery enhance the beauty of the roses. 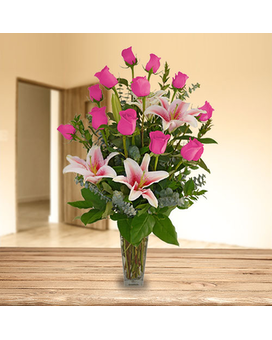 One dozen pink long stemmed roses are beautifully arranged in a tall, clear tower shaped vase. 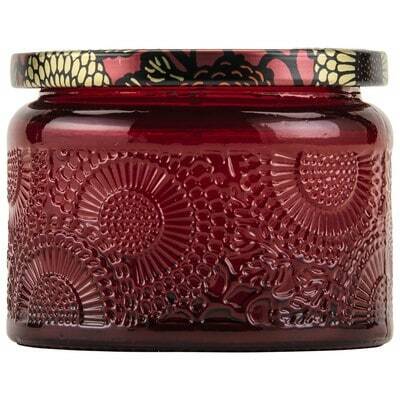 A mix of greenery enhance the beauty of the roses. 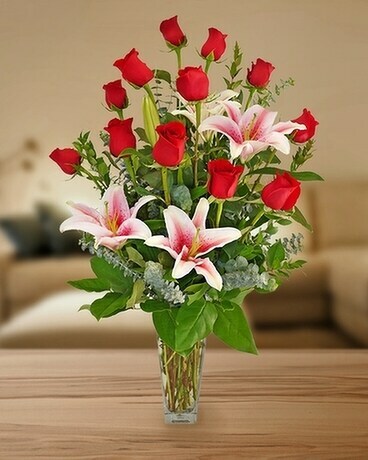 One dozen white long stemmed roses are beautifully arranged in a tall, clear tower shaped vase. 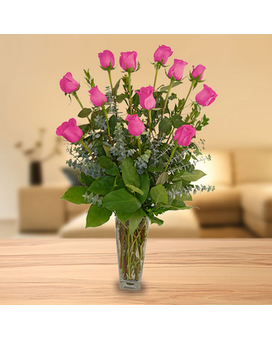 A mix of greenery enhance the beauty of the roses.